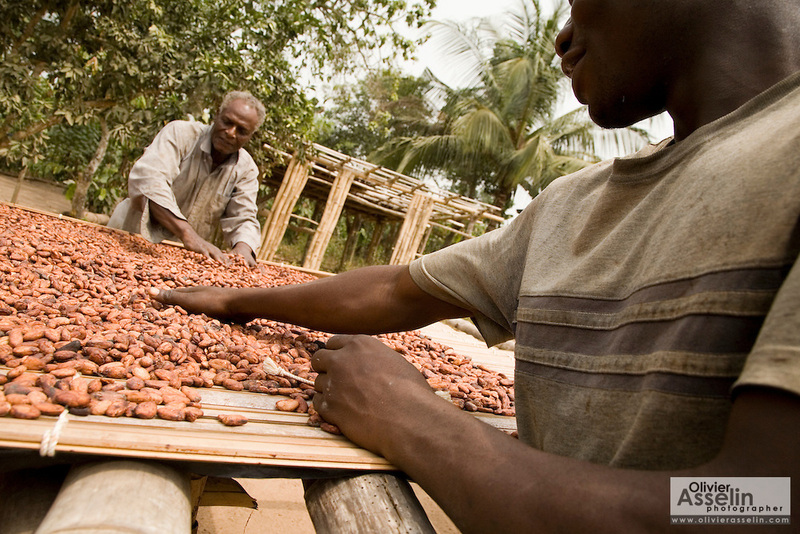 Cocoa farmer Lawson Lanquaye Mensah (back), 70, and a farm worker spread cocoa beans over a mat where they will dry in the sun at Mensah's farm in the town of Assin Adadientem, roughly 100km west of Ghana's capital Accra on Sat. January 21, 2007. A bag of 65 kg of dry cocoa beans will sell for just over $60 - Mensah says the profit he makes on one bag barely reaches $15.